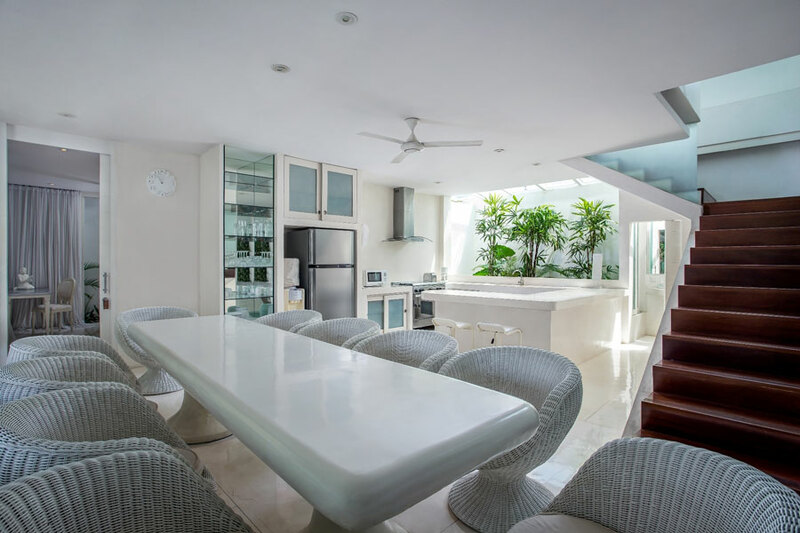 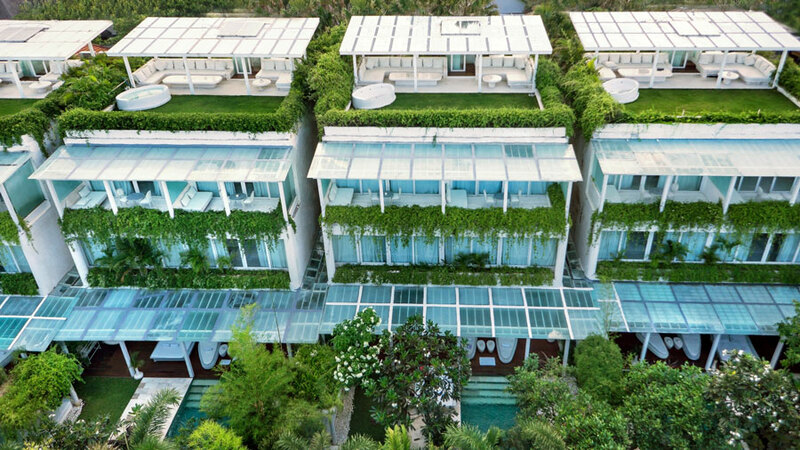 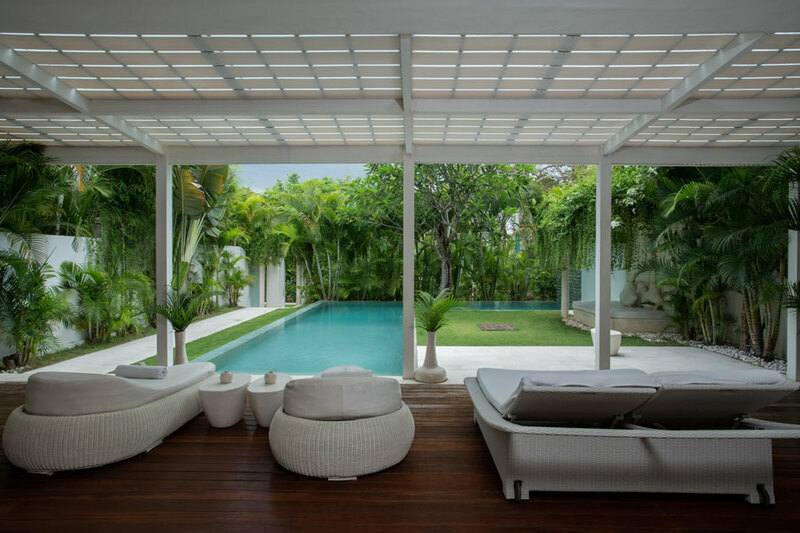 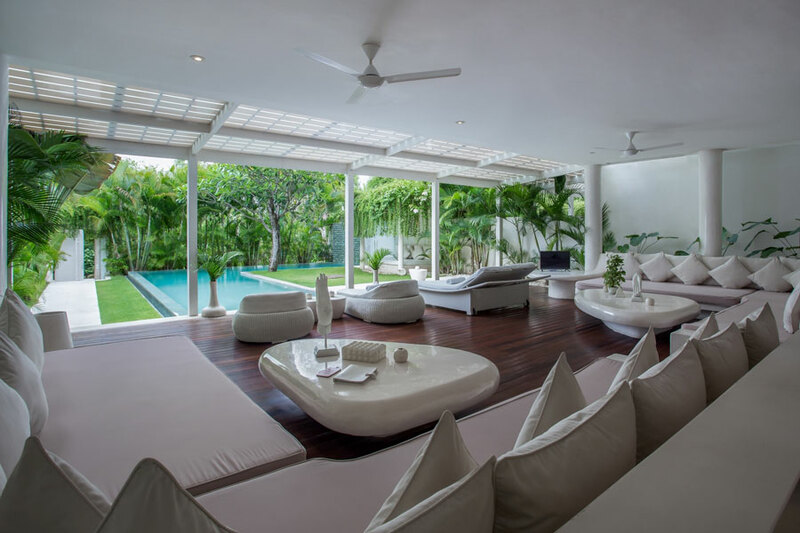 EDEN, The Residence at the Sea, is a popular villa complex in Seminyak, located just a 50m walk to the beach. 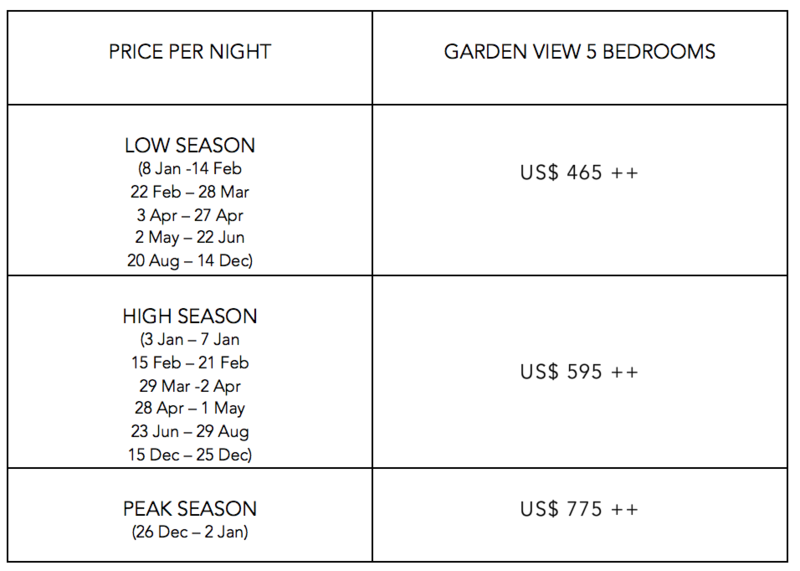 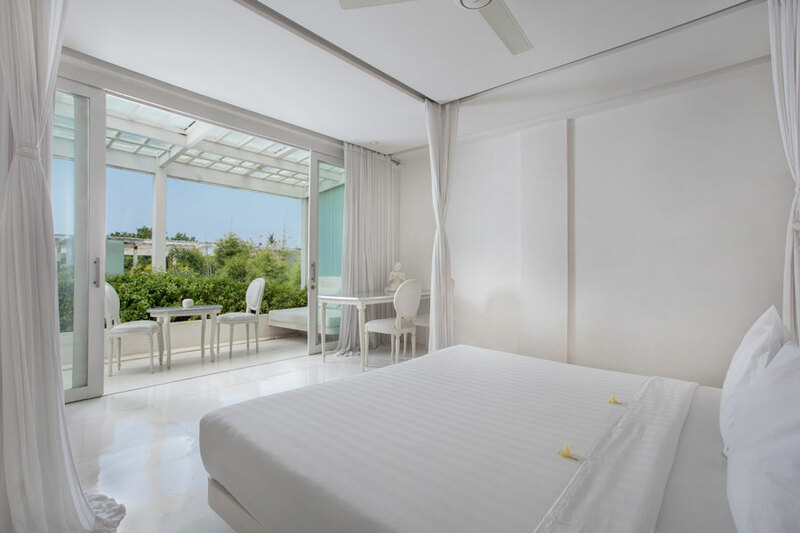 With 3-8 Bedroom villas available for booking to a total of 13 villas, Eden is also great for a large booking be it for friends, family or corporate getaways. 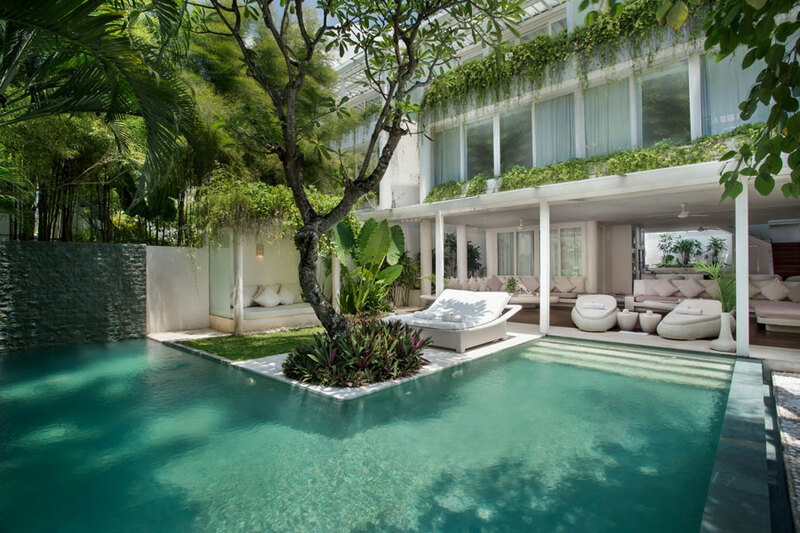 The villas feature large pools, perfectly manicured gardens and stark, white walls; all to set you in holiday mode the minute you step in. 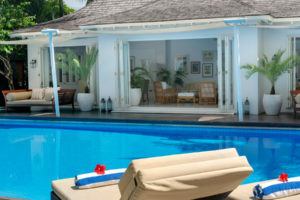 All villas are fully staffed with a professional team. 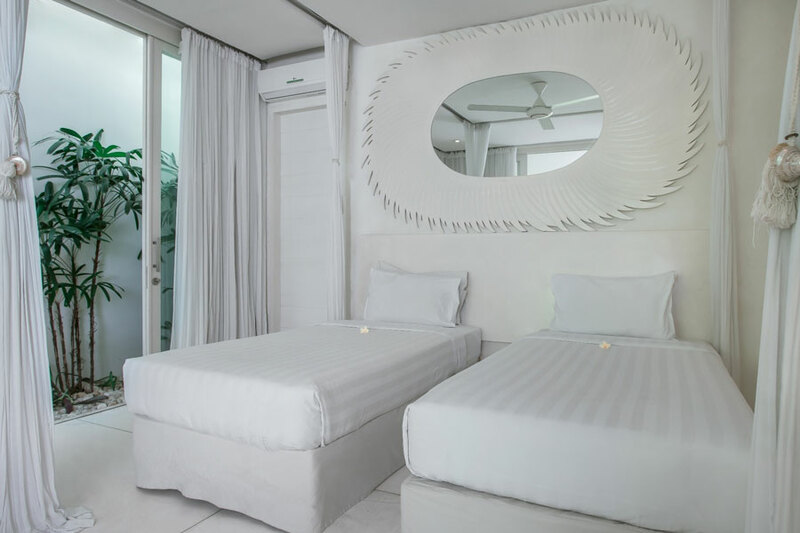 Flat-screen TV in all living rooms, a fully-equipped kitchen, a private swimming pool, rooftop garden with private bathtub (no hot water) and complimentary Wi-Fi connection. 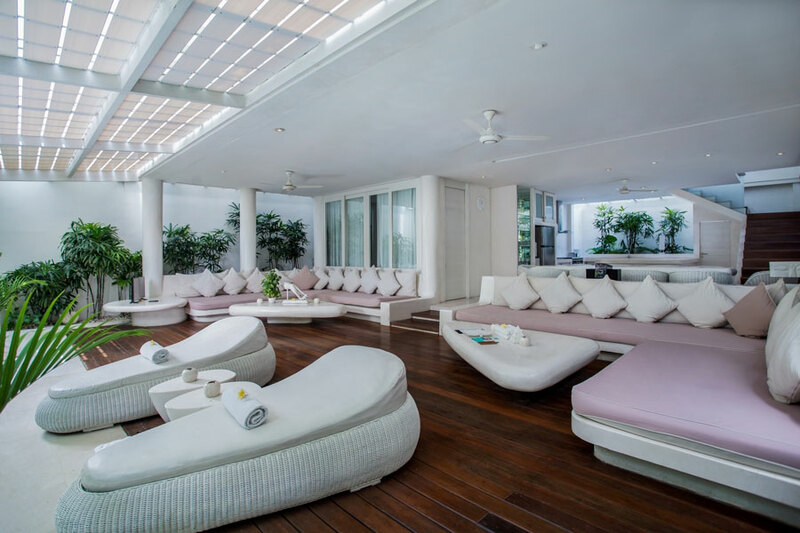 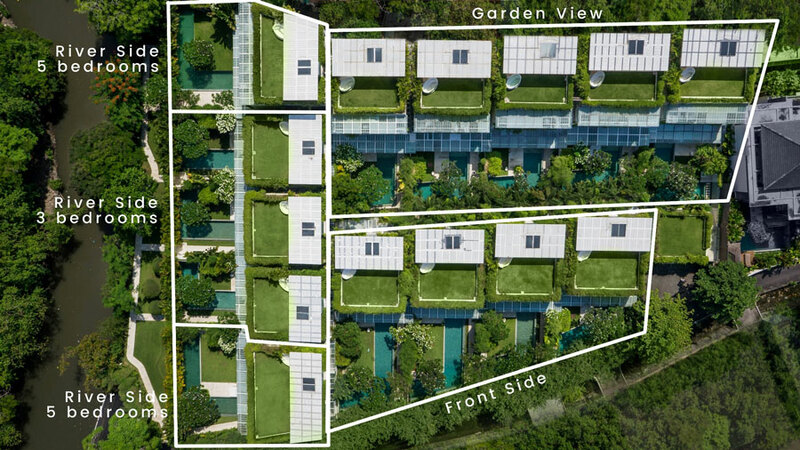 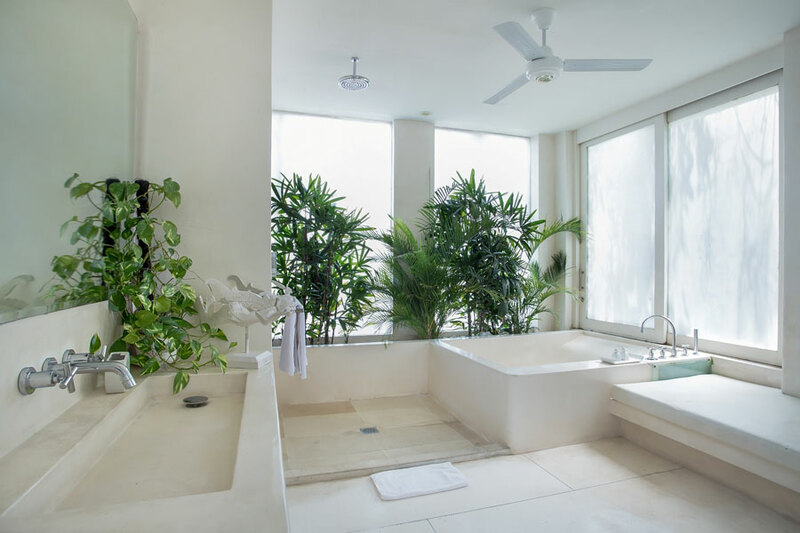 Four of the villas can be joined into two, large super-villas through sliding walls connecting the gardens and creating 2 eight-room villa, one with in-house spa treatment facilities. 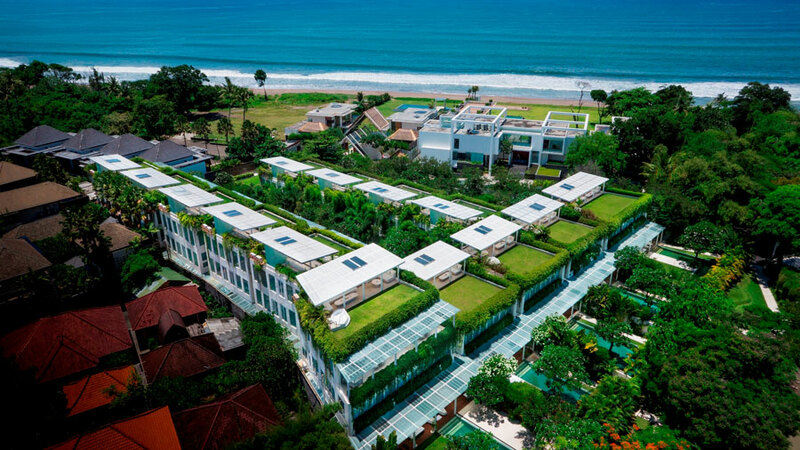 EDEN, The Residence at the Sea is in the midst of the greater Seminyak area, so that means excitement ! 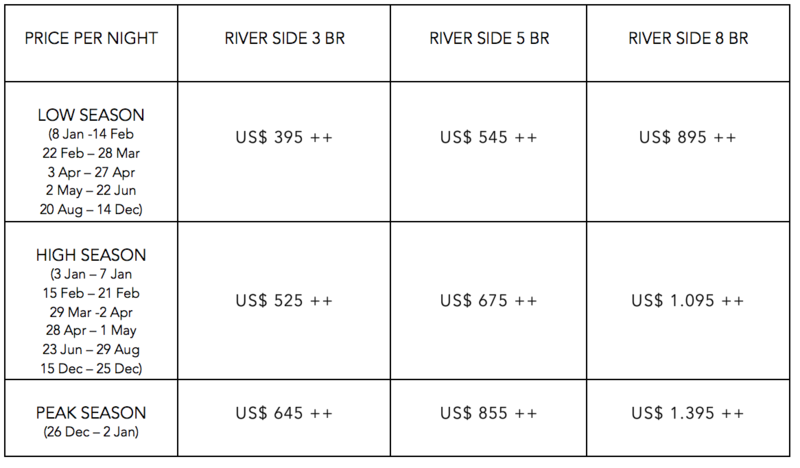 Shopping , dining, dancing at the most popular places that just start around the corner and take you along endless shopping streets. 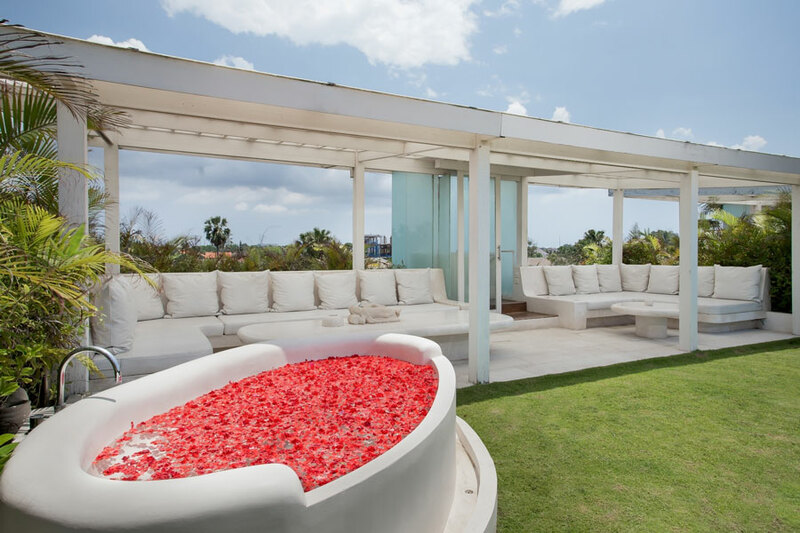 Amazing sunsets are in front and on walking distance by a private beach access. 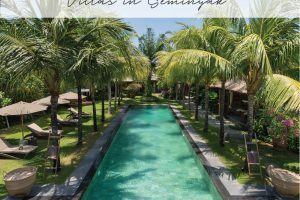 Get inspired here with our Seminyak Restaurant Guide and our personal recommendations for Bali’s Best Cafes. 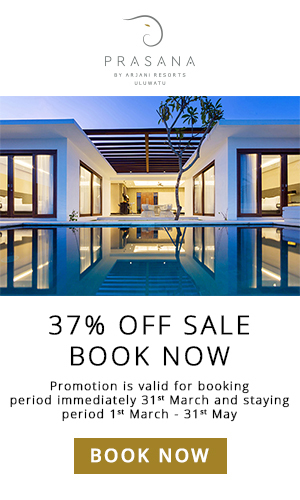 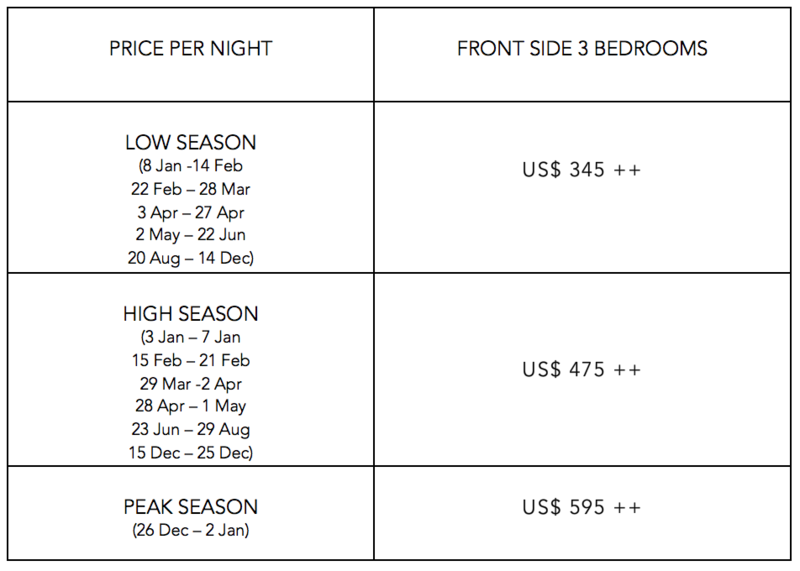 Continue browsing Seminyak’s Best Villas or Bali’s most luxurious villas. 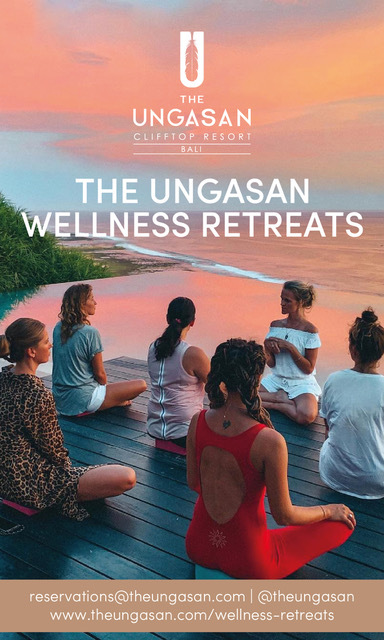 Book your luxury Bali villa with The Asia Collective and we’ll take you on a culinary journey through Bali with a complimentary copy of our Ultimate Bali Dining Guide – HUNGRY IN BALI (worth US $50)! 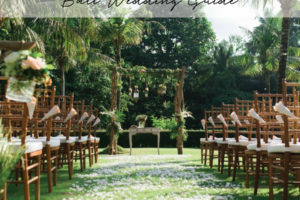 This Bali must-have guide features 46 of the island’s hottest restaurants, beach clubs, cafes & spas – each inviting you to a free main dish, complimentary dessert, up to 30% off your bill & many more unique privileges! 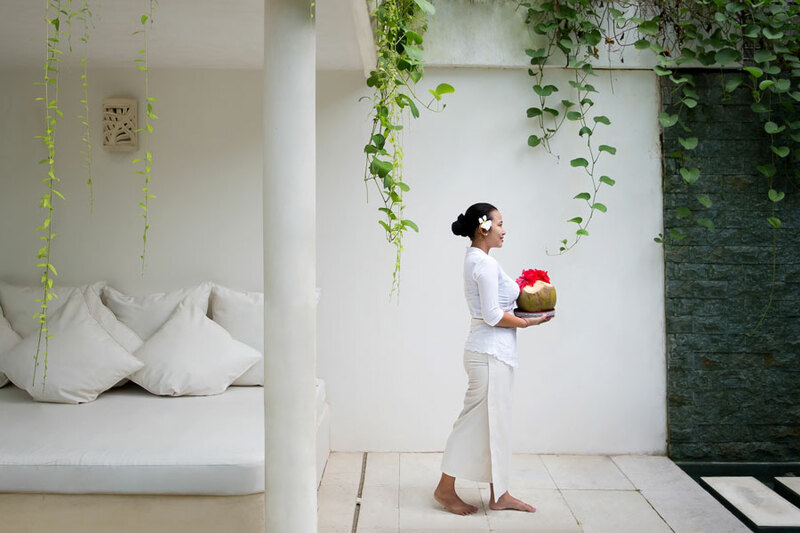 Want your HUNGRY IN BALI copy now? 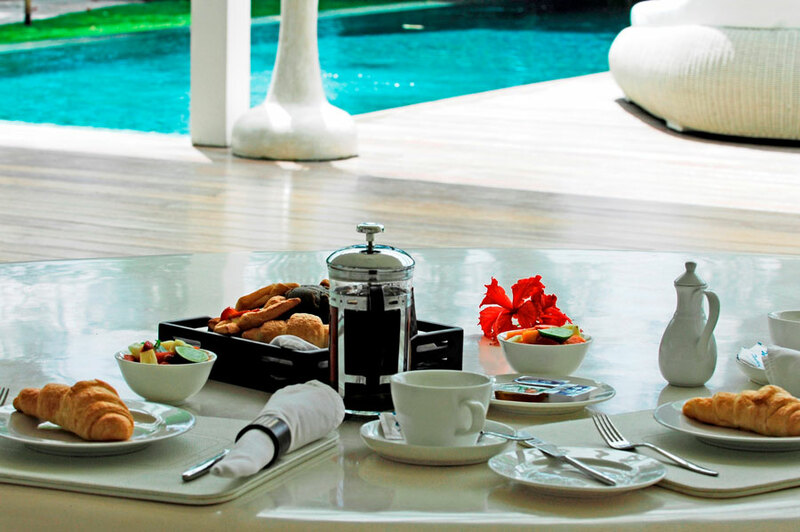 You can shop our Ultimate Bali Dining Guide here.